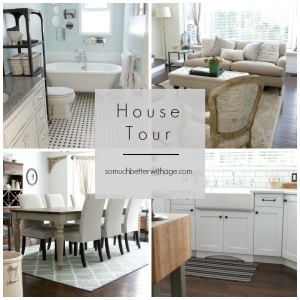 It’s the end of the month which means it’s time for another house tour! 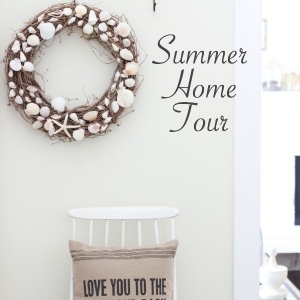 I love French Vintage decor, specifically Industrial Beachy French, so I’m always on the lookout for any type of house tour that fits the bill. 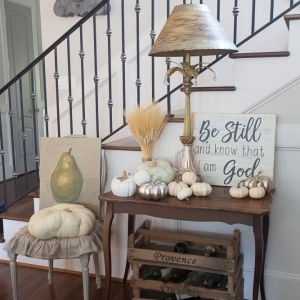 My friend Rachel, from Maison de Pax, has a home and style that’s swoon worthy! The name of her blog is obviously French and she has French and Vintage touches throughout. Just look at the exterior of her home! Gorgeous! 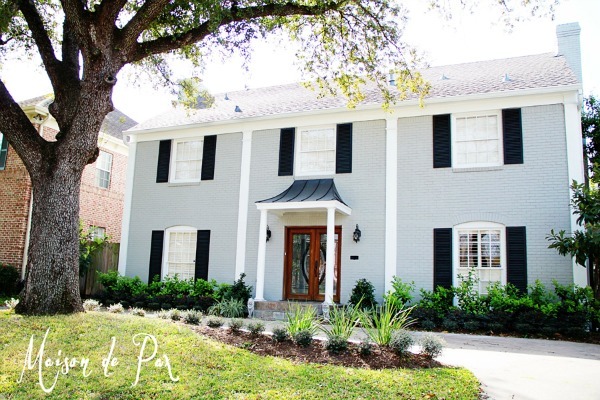 Grey and white houses are my all time fave and those black shutters are the perfect touch. 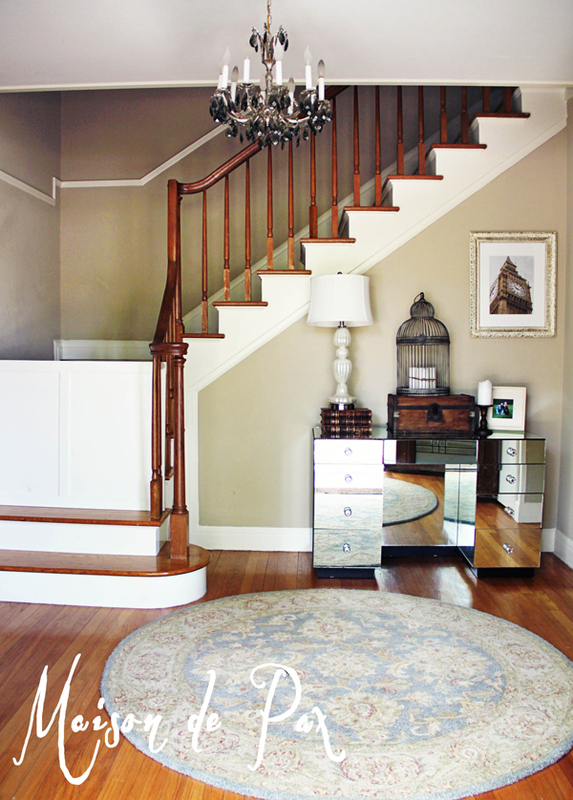 Love her foyer and the chandeliers throughout her home. 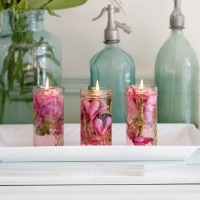 Her home is not only gorgeous but her DIY projects are out of this world. Another gorgeous chandelier. 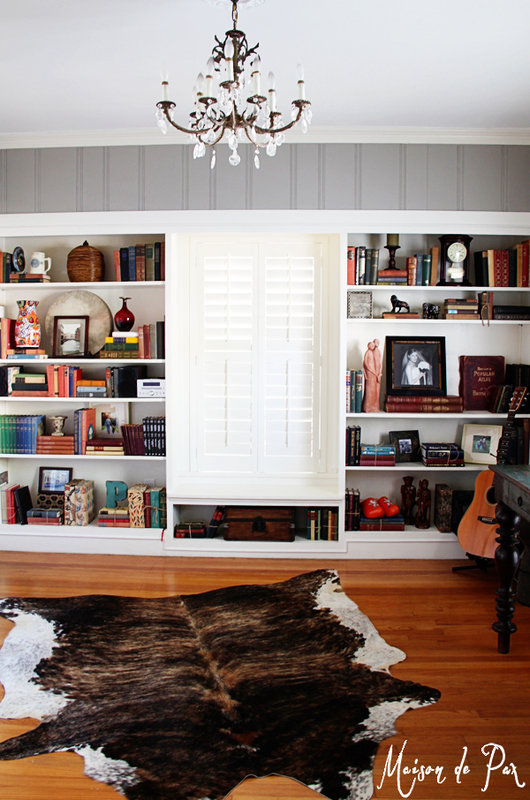 Love those bookshelves and that rug. The white and grey again is so soothing. The marble countertop is stunning. 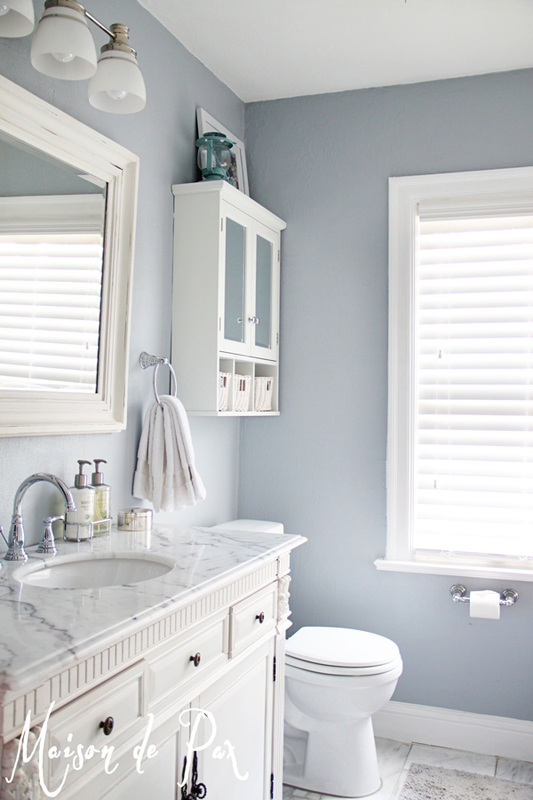 You should see the full wall of subway tile on the other side of this bathroom. 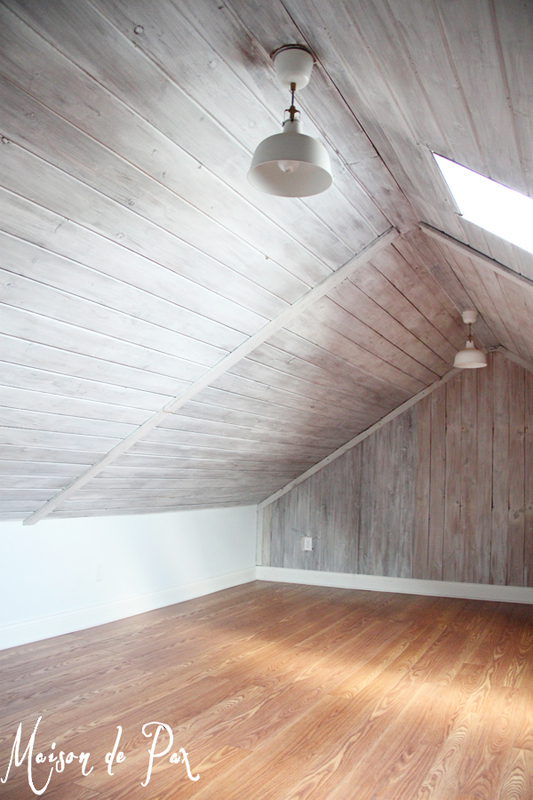 This whitewashed attic is a recent DIY project! I cannot wait to see what she does with this room although it’s gorgeous just the way it is. These are just a few teasers of Rachel’s home and projects. 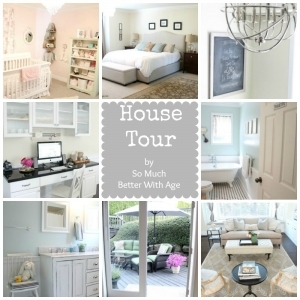 Be sure to pop over to see more of Maison de Pax’s house tour!! 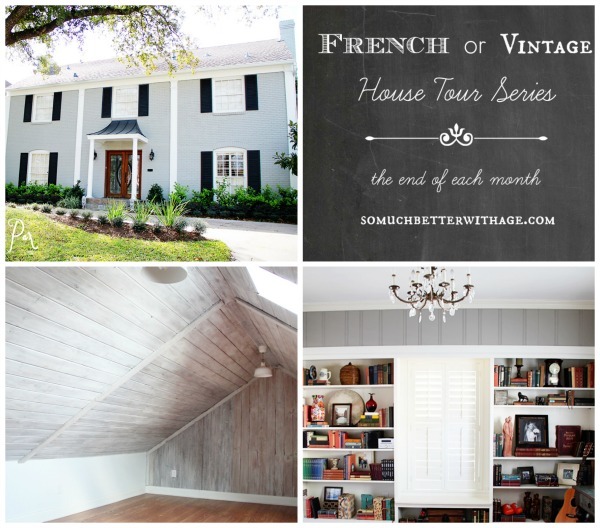 Do you love French Vintage as much as I do?